700 First Street, Kill Devil Hills, NC.| MLS# 99961 | Outer Banks Homes For Sale, North Carolina Home Search Including Nags Head, Pirates Cove, Manteo, Kill Devil Hills Kitty Hawk, Southern Shores, Duck, and Corolla North Carolina, Oceanfront and Soundfront properties for sale and long term rentals. 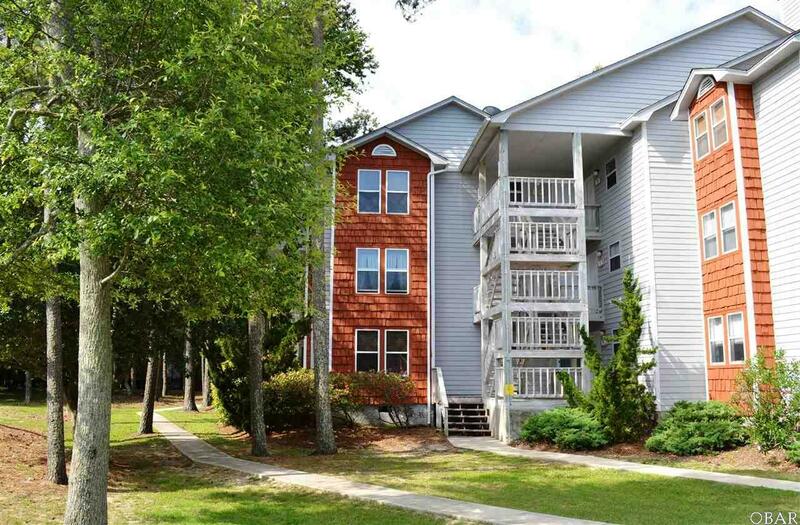 Low Maintenance, Affordable Outer Banks Living at its Finest! HOA maintains all exterior, including power-washing and exterior window washing (and much more!). Very efficient unit with LOW electric bills! Enjoy the morning sun streaming in through the master bedroom, and warm afternoon sun on the back deck and living room. The master bedroom is very spacious and sure to accommodate your furnishings. Great location, convenient to restaurants and shopping. Oyster Pointe is a sound front community with a pool and tennis courts. Spend your time relaxing on the beach, the community pool, or taking easy walks or bike rides on the bike path, which leads to beautiful Bay Dr, or a longer ride to the Wright Brothers Monument. This condo has been immaculately maintained and is move in ready. The entire Heat Pump was replaced on 6/2/18, new range installed on 6/6/18; microwave replaced in 2017 and washer/dryer are in new condition. This is a two-bedroom 2 bath unit next to the tennis courts and a very short walk to the pool. The living room is extra cozy with a wood burning fireplace and built-ins. Enjoy evenings and mornings on the back deck, which backs up to a wooded area with tall trees for privacy and shade.